Today, increasing the living conditions or keeping a certain level is getting harder day by day. When the population increases, the jobs that are performed by a group of workers in the face of automated works are now carried out by robots or do not need to be done. Therefore, the unemployment rate is increasing worldwide. However, the increase in unemployment also increases the expectations of large companies about their workers, because many people are waiting for job so the amount of work per employee is increasing, which causes employees no time to meet their needs and then everyday simple things turn into distress and are constantly being postponed. The technological development helps to humanity to solve their problems. A lot of physical processes that we should be able to solve in the past have now been solved by remote access. Thanks to the internet connections of smart devices, we have been able to run the cameras, ventilation and irrigation systems in our house. But expectations are not limited to these. In order to maintain our current life and to have all these opportunities, we need “smart assistants” who will provide us financials. When I say assistants, I mean Fintech Applications! Let’s see which type of questions solved by Fintech applications. What is this “Fintech” ? Fintech is a new word with the combination of “Finance” and “technology” as you can imagine. Recent time the first thing that comes to mind about Fintech is the blockchain, but it’s just one of the sub-branches of Fintech. Fintech is also included in our lives in many different ways. For example, use of mobile banking, lending money without intermediaries and online insurance transactions are also another important thing which can be solved by Fintech Systems. The increase in technology usability of the collaborators in the financial sector enables financial transactions to be conducted independently and quickly. 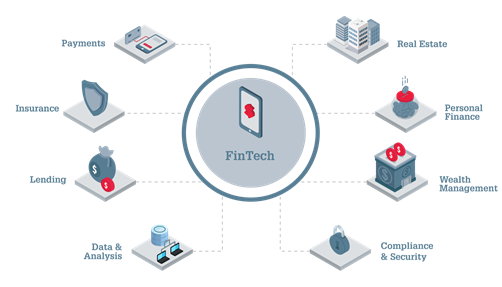 The new generation of financial software entrepreneurs, mobile applications and services for the plans for different options the establishment of the banking sector was carried out much cheaper and more effective The finech sector aims to change the business world completely. Where we can use Fintech Apps? Today, FinTech provides a great deal of convenience to its users in many areas, including mobile payment systems and insurance. FinTech’s services are not limited to these, it’s also providing new personal solutions real estate loans, personal financial and various lending instruments. They produce products that can be revolutionized in the marketing sector with personalized solutions. • Offer innovative products and services. • They provide competitive price advantage. • Interest in alternative services in the financial sector. Let’s talk about another definition, which is more popular and allows fintech to be integrated into our lives; IOT (Internet of things). IOT, is a system of interrelated computing devices, mechanical and digital machines, objects, animals or people that are provided with unique identifiers (UIDs) and the ability to transfer data over a network without requiring human-to-human or human-to-computer interaction. All of the solutions that will make our daily life much easier. Fintech and IoT, as I mentioned above, cannot stop being excited when I think that these both technologies together. The combination of these two technologies, in particular, eliminates the barriers of financial requirements to our social lives. A company called GMS in the Philippines brings together the Mobility — IOT — Fintech trio and finds an innovative solution to the taxi industry with three-wheeled vehicles, which are very common in the Philippines. 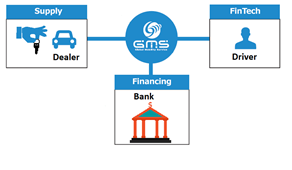 GMS company rents vehicles for cab drivers who cannot afford one, and for people who cannot take loan from banks due to lack of credit score, in order to provide them jobs. How does it work? Firstly I will talk about the importance of this work in the Philippines, and then I will explain in detail how it is done. The population of the developing Republic of the Philippines is about 105 Million. There are 3.5 million tricycles in this population. One of the most preferred business area for low-income earner is taxis. In the photo can be seen in the car by carrying passengers to earn money by making a wage. Even though it may seem like a simple taxi, these people use vehicles for low wages during the all day and they work every day of the week. Although this business concerns a large population, many of drivers cannot afford to buy tricycle. Also they could not take loan from bank, because like %70 of Philippines they are unbanked, they do not have any bank account. As a service provider, GMS is involved here and is buying taxis from the manufacturer and adding remote internet access to cab. With this access, they can activate the tool at any time and deactivate it whenever they want. Then they give all drivers the chance to become cab driver. Drivers just pay a daily weekly or monthly fee, and they rent a car and they can drive and make money. 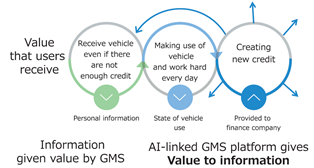 The taxi that the driver pays for the use is activated by the GMS company and the driver can use it until the end of the period. In this system, the IOT is not only used as a remote control tool, but also the information pool of the drivers. Each driver is assigned an identification number in the system and the number of passengers followed by these numbers, working hours, payment delays, accident-free rates, such as a lot of information is backed up. In later periods, information can be given to discounted drivers with active loyalty points or other privileges. Another beauty of this system is that 70% of the people in the country , that does not have a bank account. Personal information of many people recorded through this system by GMS. The average income of these drivers can be learned from the vehicle hours and the number of passengers it carries. In this way, micro loans can be offered when needed. The example of the Philippines we have given above is only one of the hundreds of fintech systems in which Fintech has been successful and contributed significantly to the welfare of the people. Their similarity is spreading all over the world now, and some of them have been revealed by banks and some of them are direct entrepreneurs. Not only high-income people, but also people with low incomes, such initiatives will come in the coming days seems to be encountered frequently. It is enough for us to think about what the future of this world will bring to us. I hope you are excited as much as I am. You will be very surprised to see what can be done in this endless system. Tokushi Nakashima, Lets Build the True Eco-Car, Tokyo, Nikkei BP, 2010. Asian Development Bank [Internet], Mandaluyong City. Republic of the Philippines; c, [cited 2010]. Available from https://www.adb.org/sites/default/files/project-document/74849/43207-013-phi-pam.pdf 2010. This paper was prepared as a class work for Financial Technology course given by Prof. Selim YAZICI at Ozyegin University, Graduate School of Business, Financial Engineering and Risk Management Program.